Now, you’ve probably heard about it before, or seen it advertised on billboards, at beaches or lakes, in newspapers or maybe even on TV – SUP, the new trend – the new hype. Is that another trend that is in fashion, that in due time, will pass too? Well, if you ask us, that’s rather unlikely. Why? 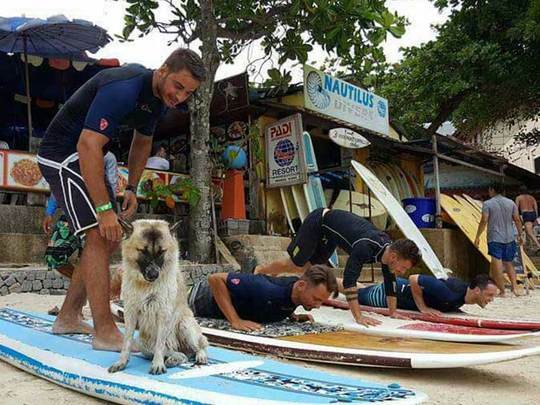 Because it has so many health benefits, while at the same time its great fun to do – without even having to get wet necessarily. But before we endeavour on the route down the benefits-lane, let’s quickly sum up what SUP is. What does SUP stand for and how does it differ from traditional surfing? 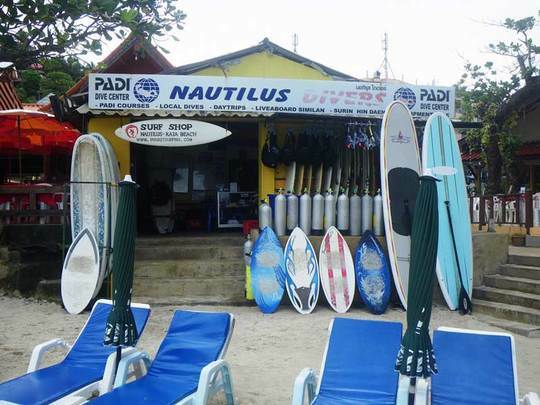 Stand up paddling (SUP) is a sport that brings together the skills of long boarding and paddling in a very dynamic way. Stand up paddlers stand on a board and use a long paddle to move through the water. The SUP boards have dimensions that are much larger than the everyday surfboard or longboard and so, the techniques to ride this equipment vary from it. Using the paddle adds another dimension to your surfing experience. So what are those benefits that I may gain from this activity? • Stand up paddling is a great activity for everyone: SUP offers a variable level of intensity. Cruising on a paddle-board can mean anything from a gentle drift across a lake, to a heart-pounding paddle against the current of a river. 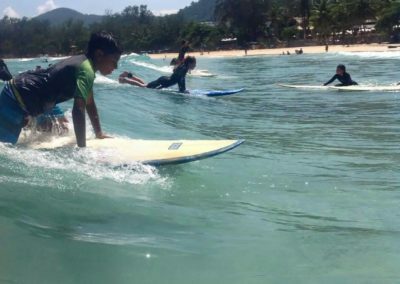 At the beach, paddle-boarders often paddle out to sea to catch the biggest waves; but it’s equally suitable for small children to play in the shallows. SUP is probably the only activity which can be equally enjoyable for both senior citizens and extreme sports junkies. • Stand up paddling improves balance: Standup paddle-boarding requires you to stand upright on the board, which requires a lot of core stability and leg strength in order to maintain balance. This not only helps you to maintain a good balance while paddle-boarding, but increases your focus and balance in day-to-day activities, as well. 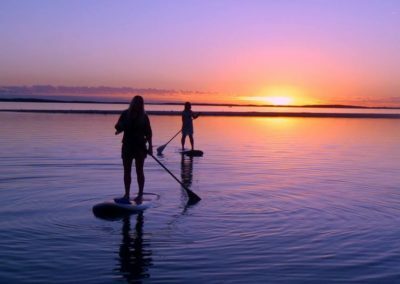 • Stand up paddling can be done anywhere: Though it’s usually thought of as a beach activity, it works just as well on a lake or canal. This makes it popular with fans of water-sports who live inland, as they can train on a local river rather than driving hours to the shoreside. 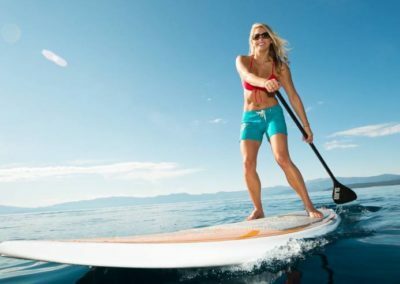 • Stand up paddling offers a full body workout: Almost every muscle in the body is used at some point during paddle-boarding. 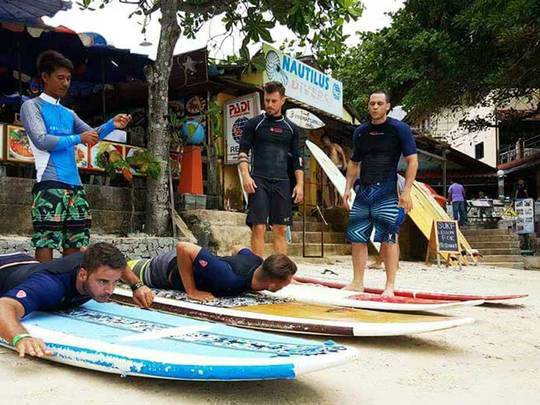 Because of the balance required, leg muscles will be hard at work attempting to stabilise your center of gravity, while the arms, back and shoulders are used to propel the paddle-board in the water. The core, back and abdominal muscles are constantly at work to maintain your balance. 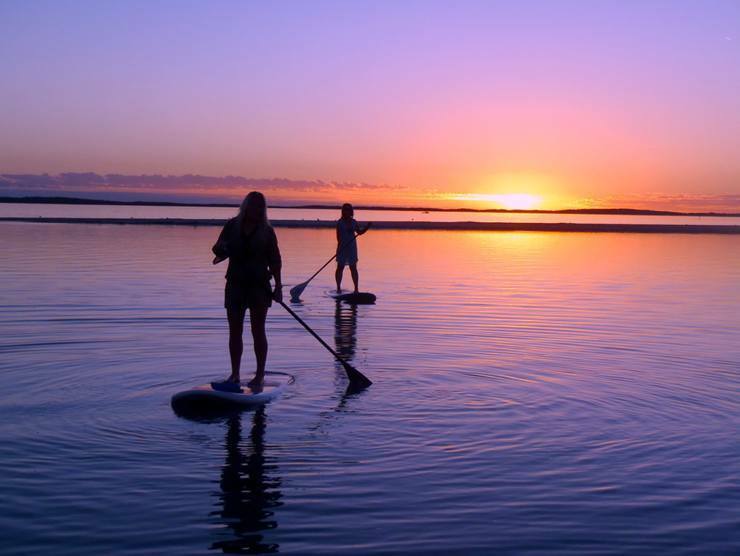 • Stand up paddling reduces stress: Water naturally soothes the body and exercise helps to reduce stress in your body. Add to all of that the soothing sounds as you glide through the water, the sensation of actually walking on water, and the rhythm of your stroke, and the stress you feel starts to loosen its grip on you and melts away. • Stand up paddling is a great cardiovascular workout: If you spend enough time out on the water paddle-boarding, you can get a good cardio workout out of it. You can also race your friends while paddling to make it a bit more motivating and challenging, which is a good way to get the heart rate up. 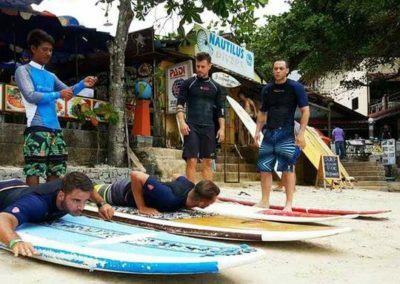 • Stand up paddling us useful for rehabilitation injuries: Because of its low impact nature, paddle-boarding can be a useful tool for people in rehab to gently increase strength without doing any harm. It is very gentle on your muscles and joints. • Stand up paddling offers you a better cardiovascular health: Paddle-boarding will help you avoid being a victim of heart attacks and strokes. Because engaging in paddle boarding is similar to running, aerobics, or even cross-training, you’ll have improved cardiovascular health and less risk for related diseases. • Stand up paddling allows you to connect with nature: Being out on the water is calming, and engaging with nature can have a positive effect on your mental health and attitude. • Stand up paddling is like walking on water: That really is the best comparison. Stand up paddling gives you a chance to explore the water in the same way you might roam around on dry land. Whether you’re on ocean, lake, or river, you’ll have the chance to see the local scenery from a new angle. SUP gives a better view than you’d get on land, and you can get closer on a paddle-board than you could ever get on a boat. 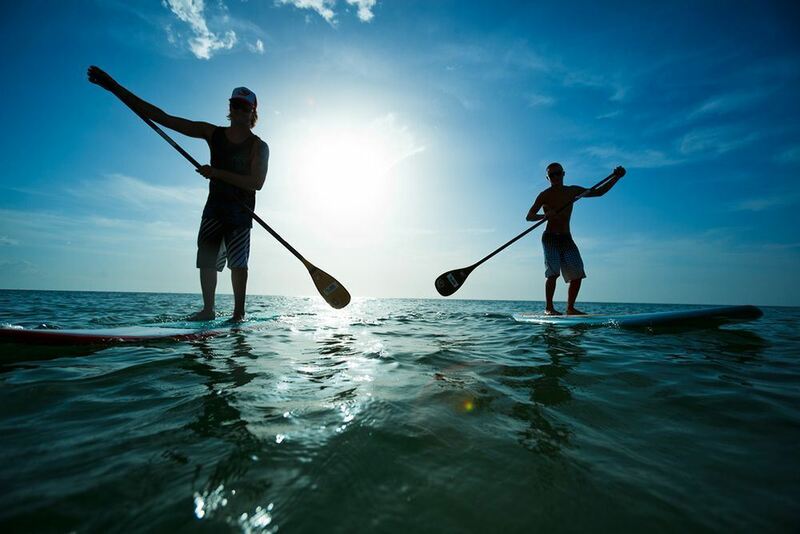 In the end, SUP is all about exploration, both on the water and in your own mind. On the board, you can get closer to nature and see things in a new way. You can practice on any stretch of water, from the ocean to an urban canal. The roll of the waves and the tug of the wind lull you into a state of total focus, melting away the worries you feel on land and freeing your thoughts. 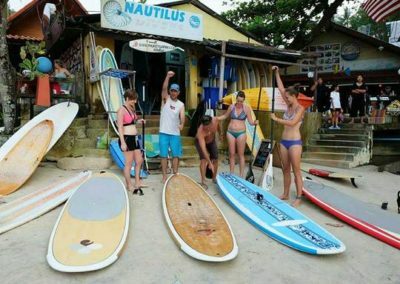 Thinking about joining the hype and go stand up paddling? 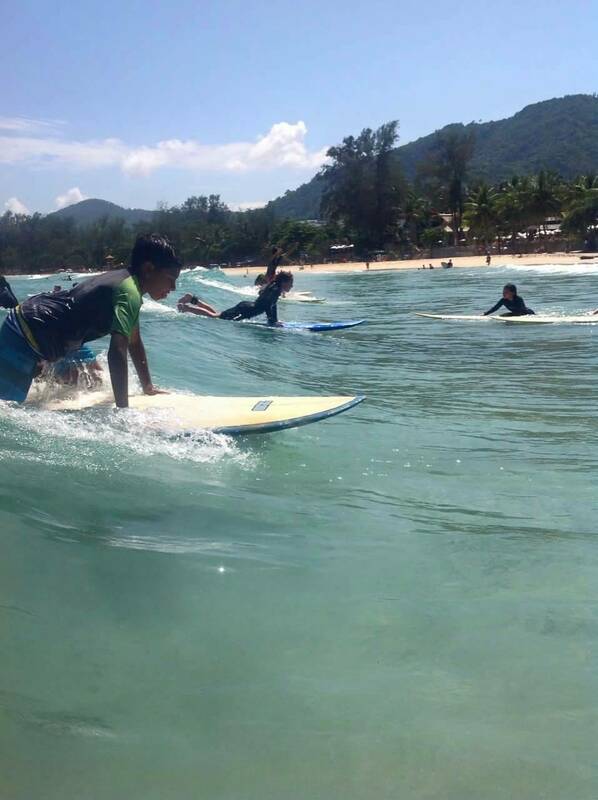 Well, come to Kata beach and join us! 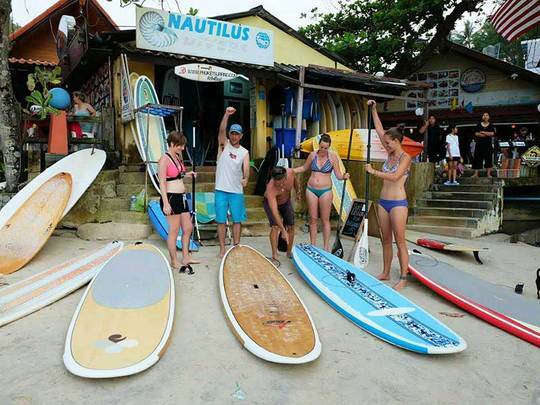 Go stand up paddling with us!